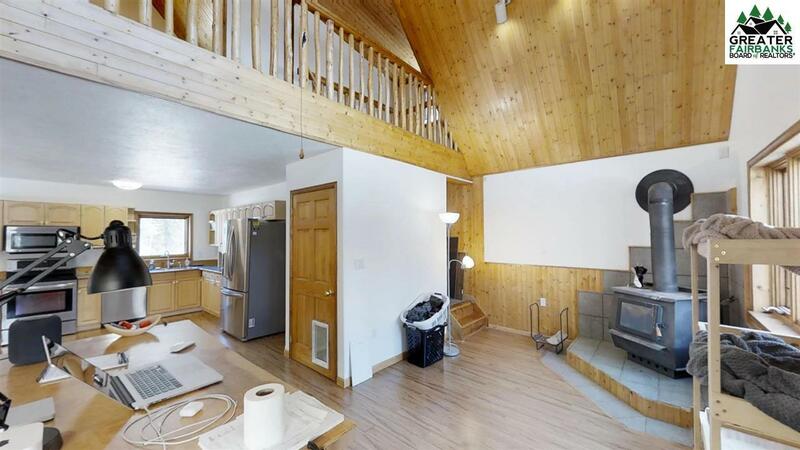 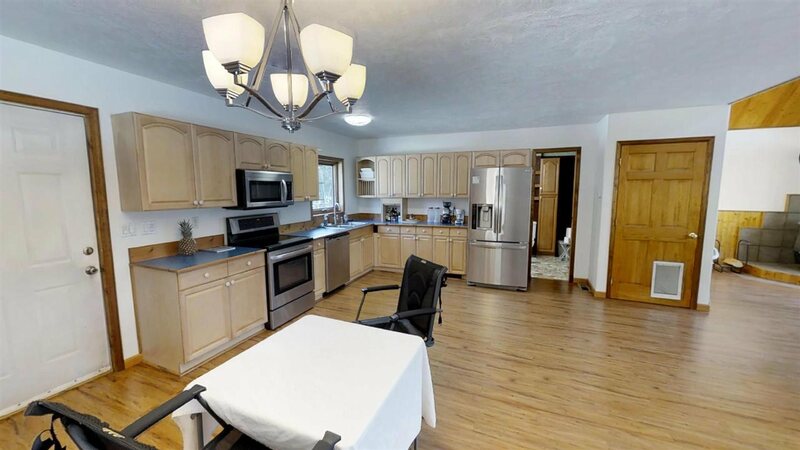 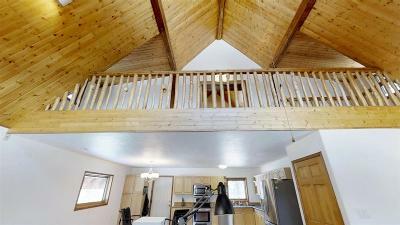 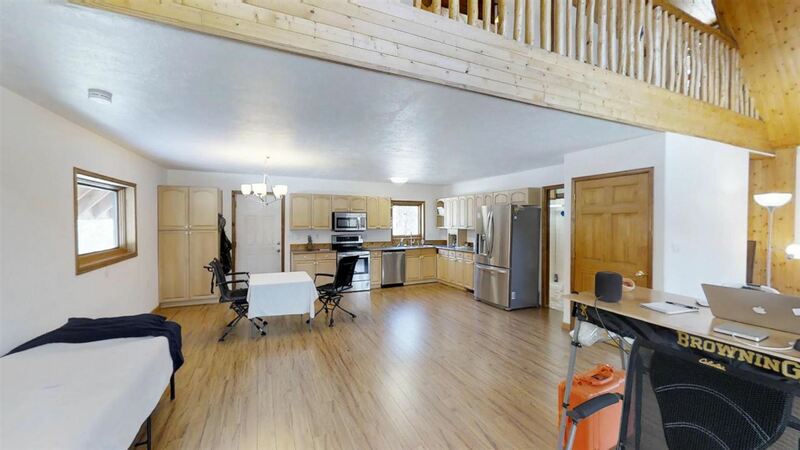 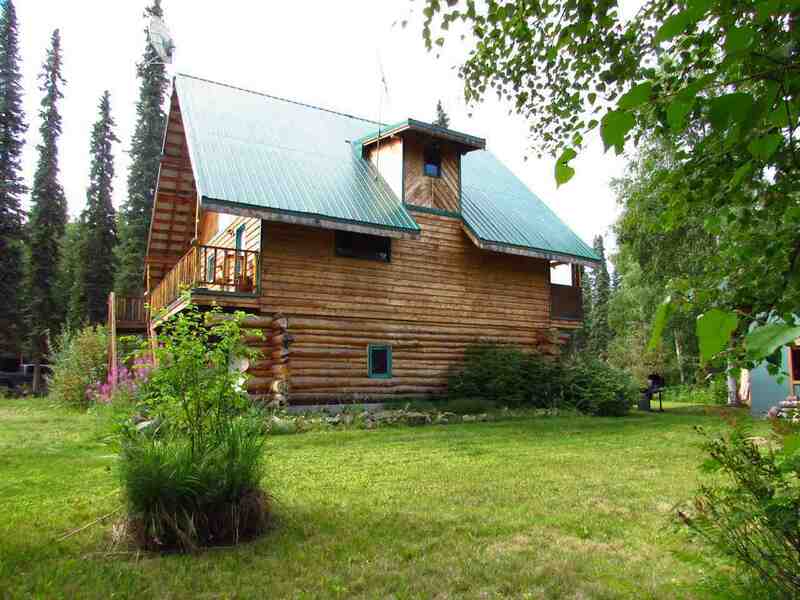 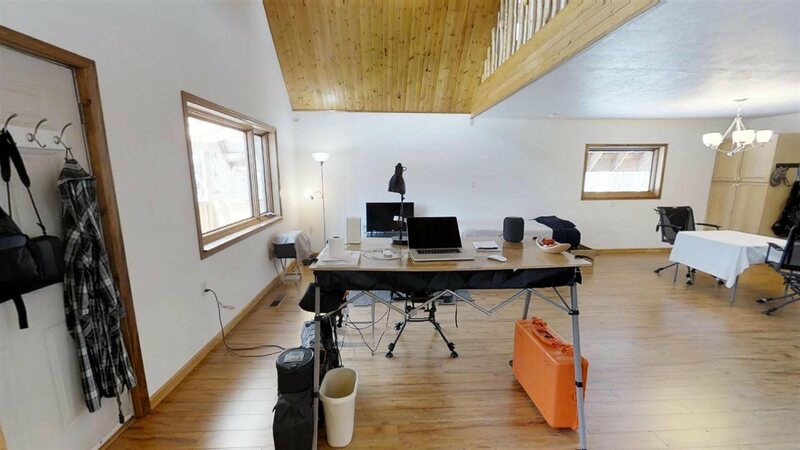 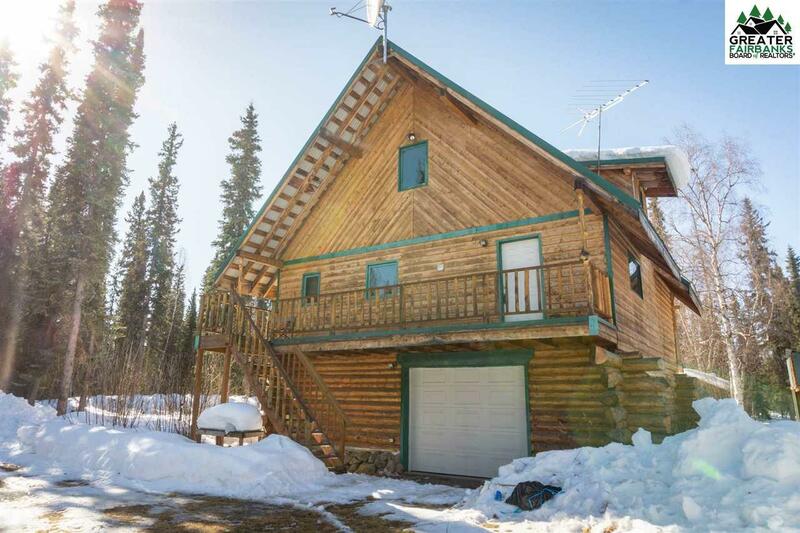 A beautiful log home on 5.70 acres conveniently located close to Eielson Air Force Base. 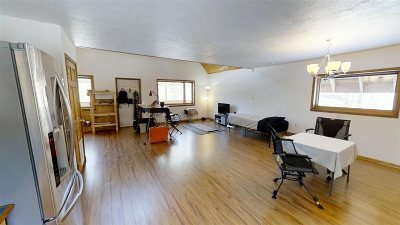 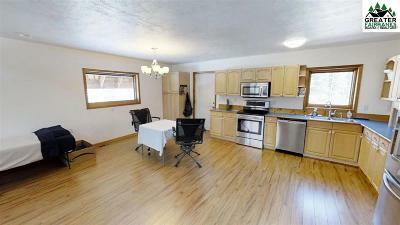 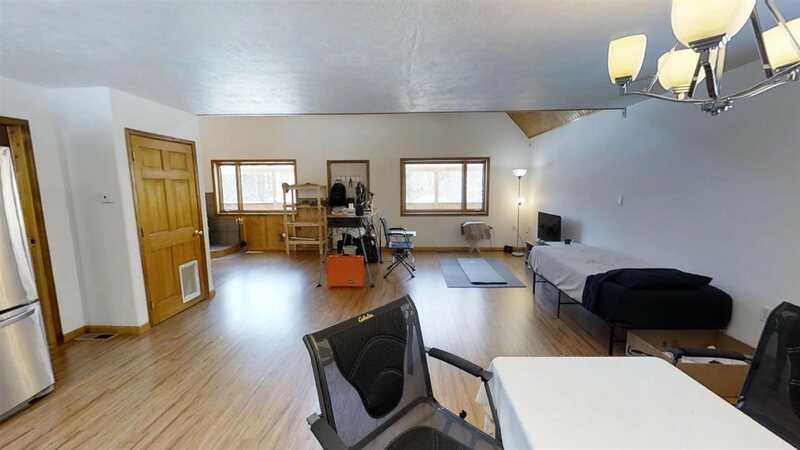 Large 870sq ft. garage with plenty of room to store your toys or get creative for extra living space! 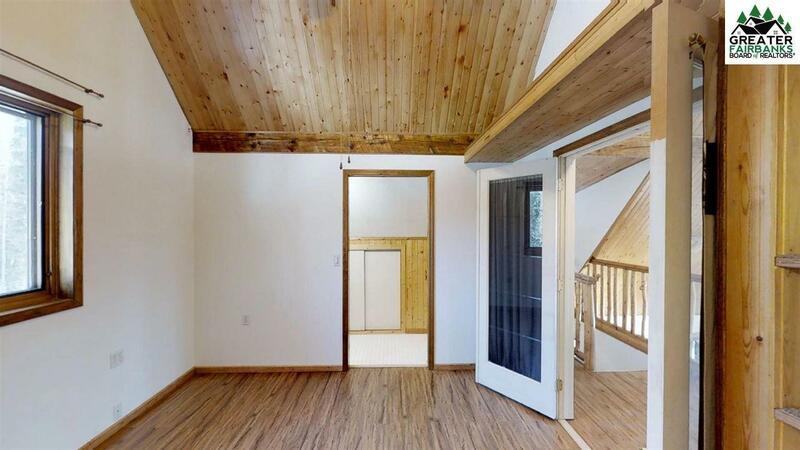 Enter in and see how light an airy the interior feels being flooded with natural light. 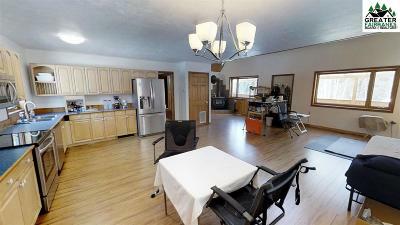 The living area has a large open floor plan with new pergo flooring. 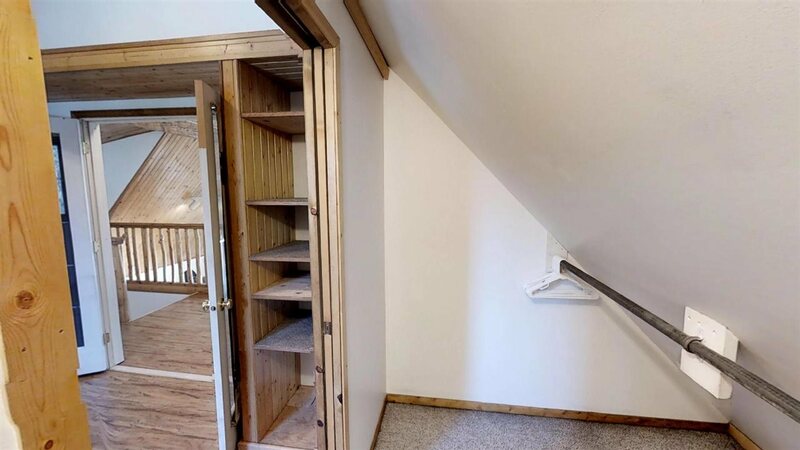 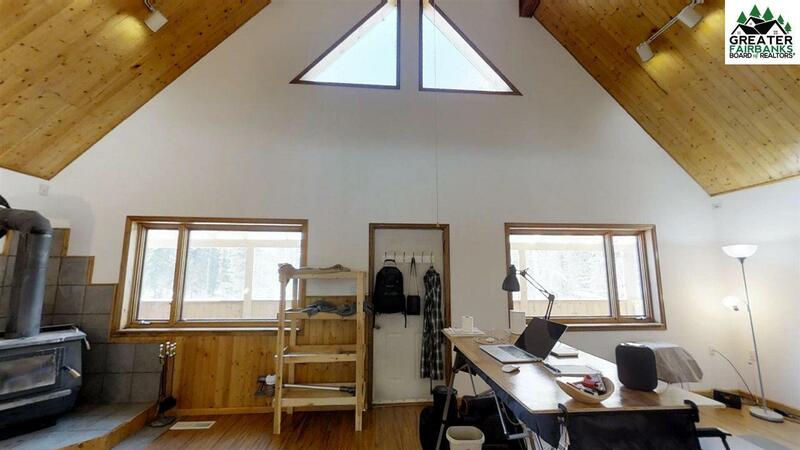 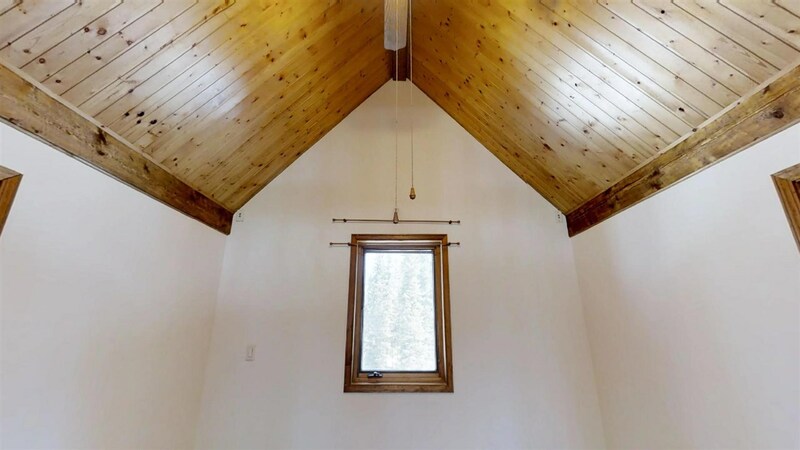 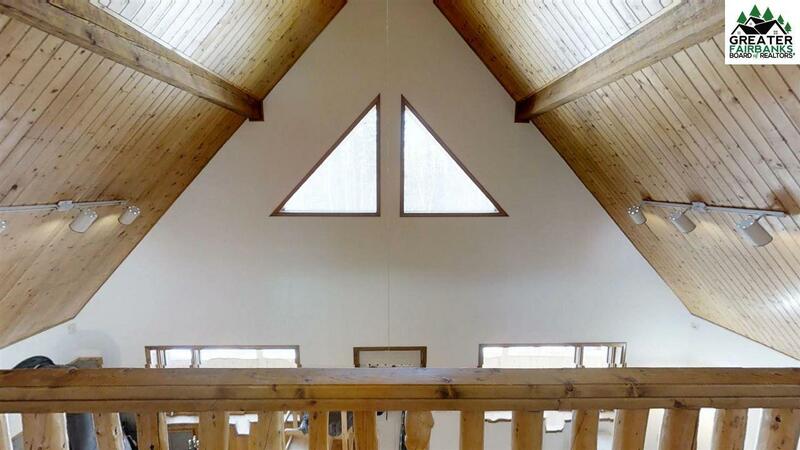 In this area you can also find vaulted tongue and groove soaring ceilings, large widows and a blaze king wood stove to keep you warm through the winter months . For those people who love to work in the kitchen there is plenty of cabinets and counter space to do your food prep or entertain guests. 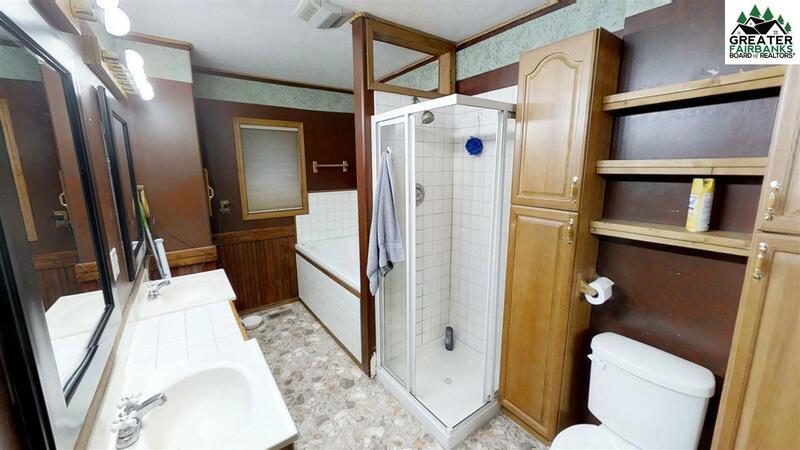 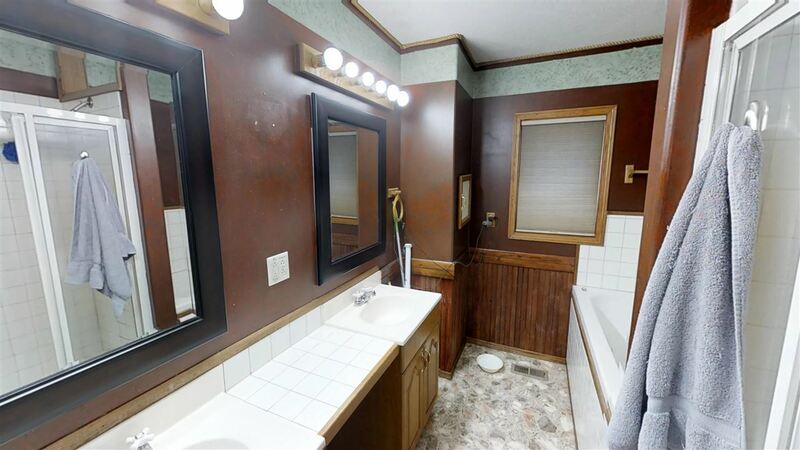 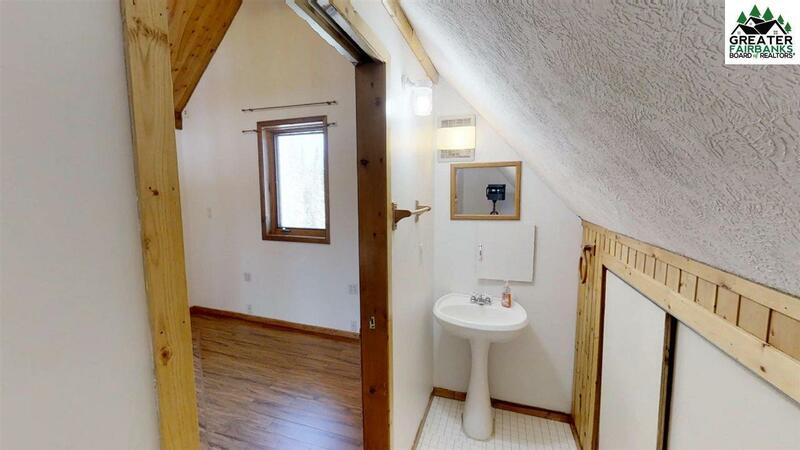 The main bathroom is just off the kitchen and has a large Jacuzzi tub, double sinks, and a separate shower. 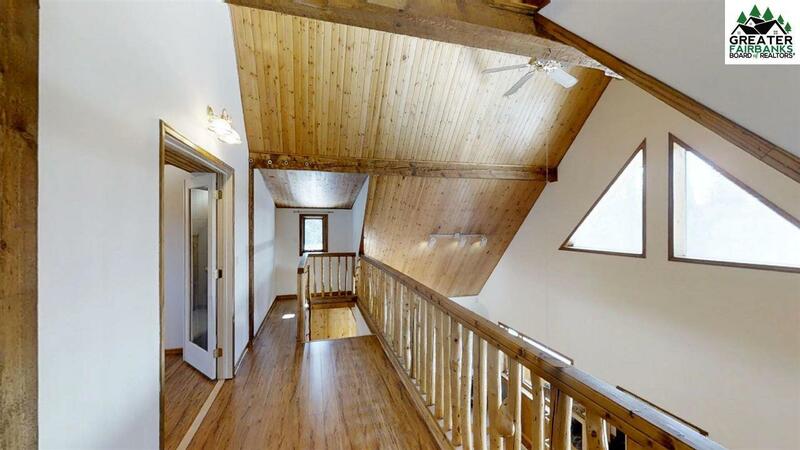 The 3rd level is the master suite with glass French doors that lead to a spacious bedroom and a half bath. The custom diamond willow banister and railing as well as the wood trim give this log home a warm feel. 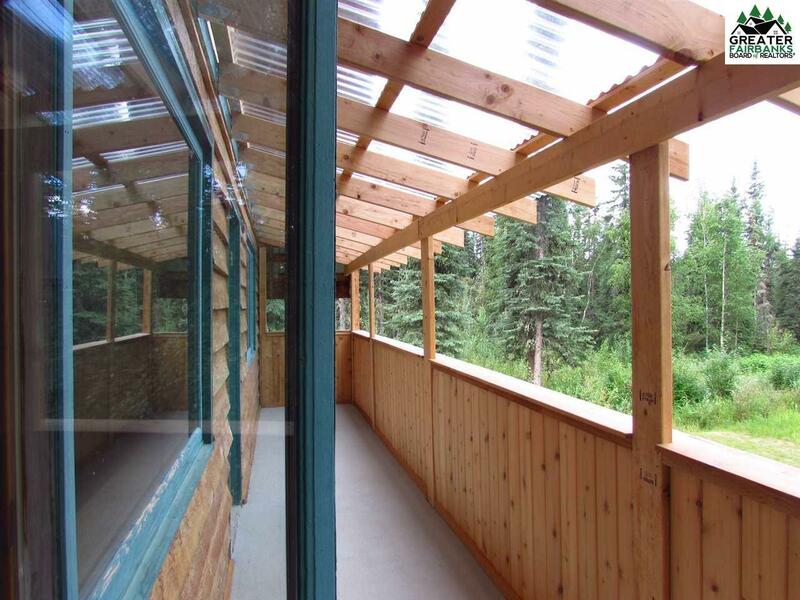 The property has a private trail that leads to the Tanana River. 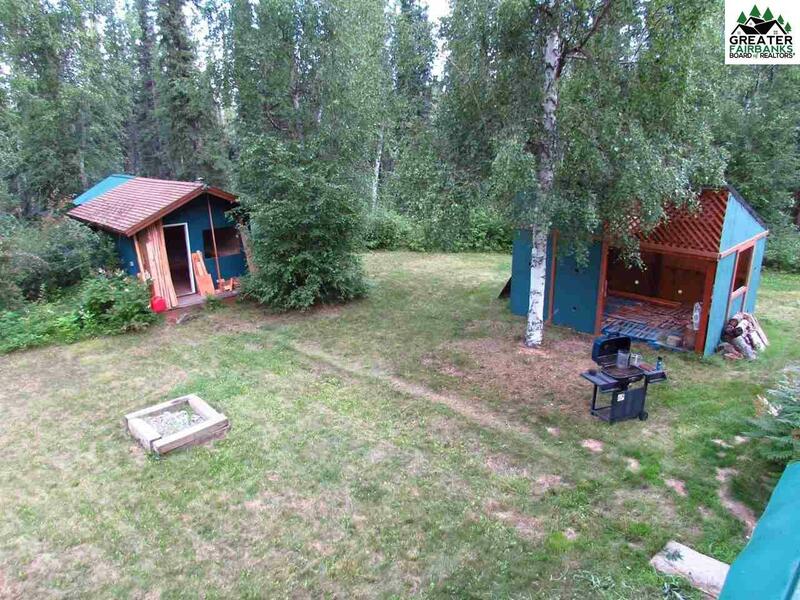 12 X 16 detached shed; 12 X 10 cabin w/ roughed in wood stove fitting; 12 X 16 woodshed less than 20 ft from back door, holds 5+ cords of wood. 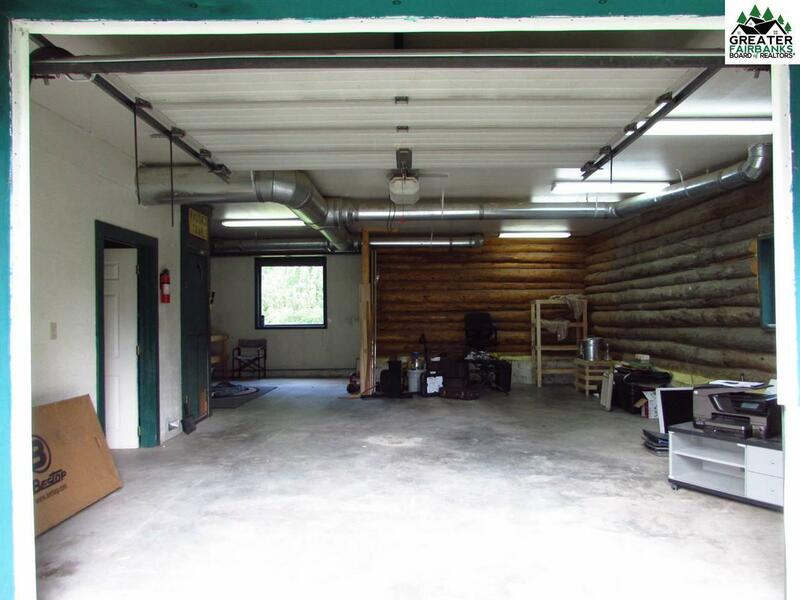 There is a gravel pad as you enter property for trailers and RV&apos;s that is a 30 X 20. 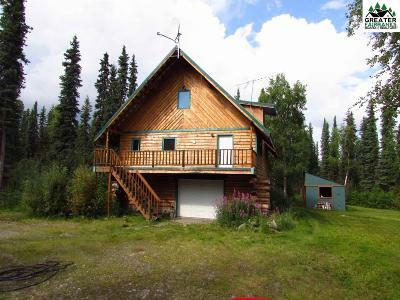 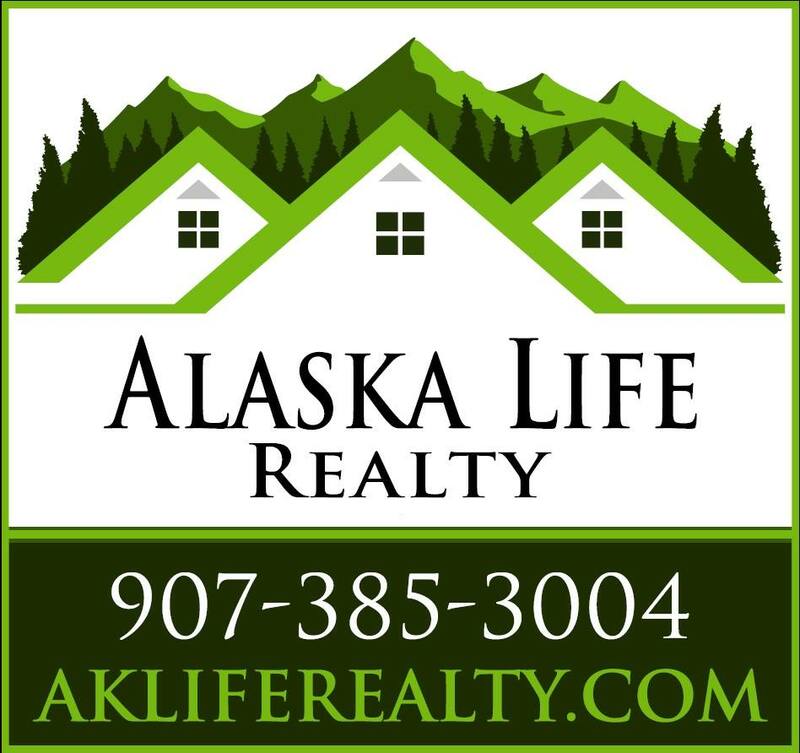 Living out here you will feel like you are living the real Alaskan dream while still being able to have short commute to town!